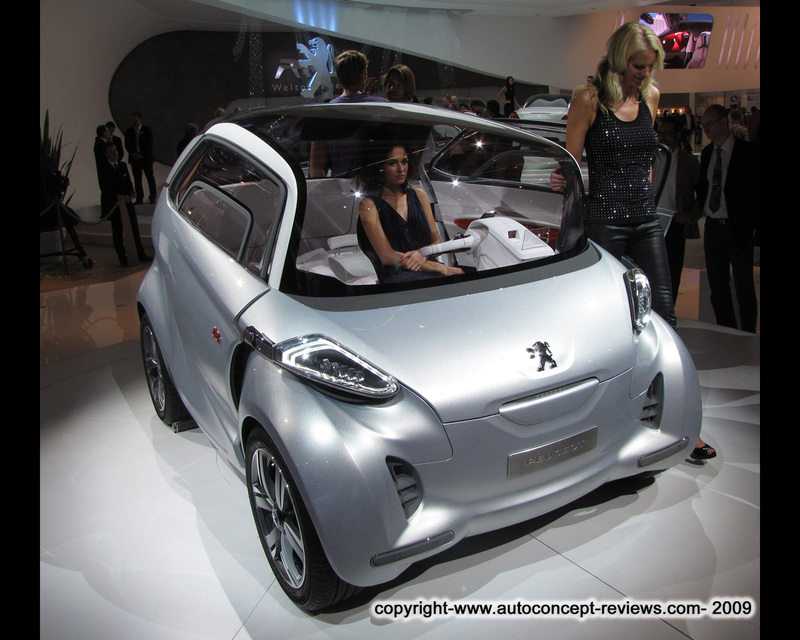 The Peugeot BB1 Concept car, unveiled at the 2009 IAA Frankfurt Motor Show, is a fully electric vehicle seating four people in just 2,5 metre length and defined as Amazing Urban Mobility Offer. If the style has takes no clue from the past, the name BB recalls early Peugeot like the 1905 Peugeot Type 69 "Bébé" (Baby in English) - see Car reviews Peugeot Type 69 Bébé 1905 for further details and pictures. 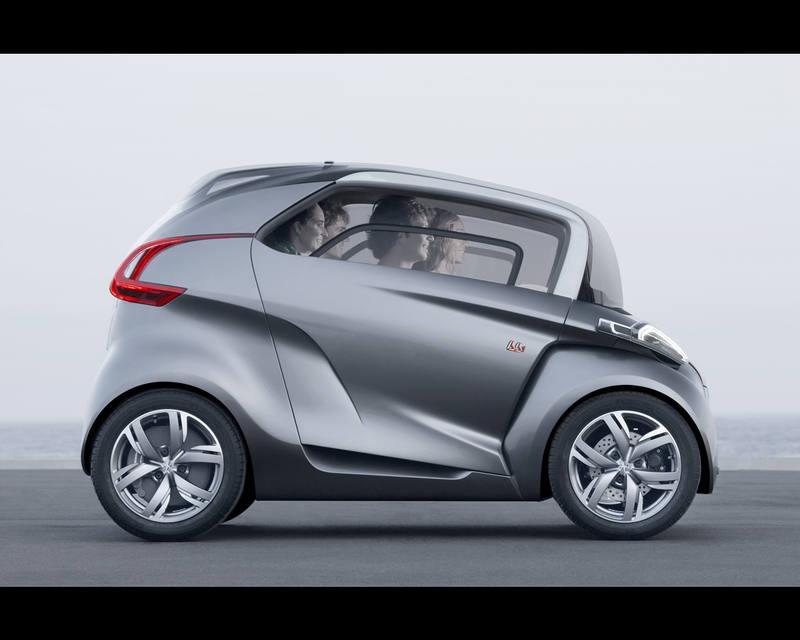 The Peugeot BB1 is presented as an original response to the needs of urban mobility. The first challenge was accommodating four people in a car 2,5 m long. 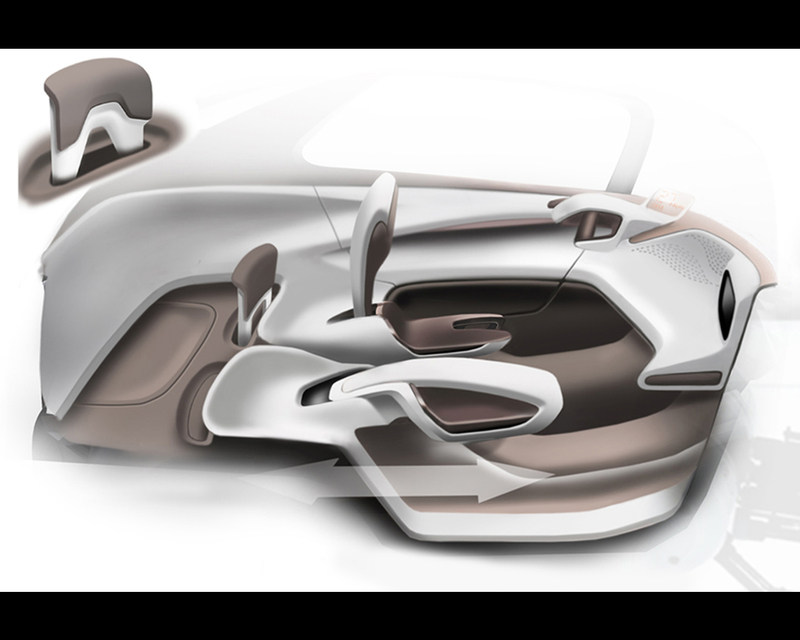 This structure of the passenger compartment has drawn inspiration from two-wheeled vehicles in terms of ergonomic: the driver controls the vehicle by adopting a new driving position - more vertical than is usual. This is mainly made possible through the absence of floor pedals. The rear passenger is seated in tandem behind the driver. On the right-hand side, front and rear passengers adopt the same position. The double bubble roof, as in the RCZ, helps with the rear space of the vehicle. Access to the vehicle is through the inverted door opening mechanism while boot access is through a tail board and a tailgate. The interior can be transformed as required to offer a load volume of 160 litres (with four occupants), rising to 855 litres (with just one person in the car). 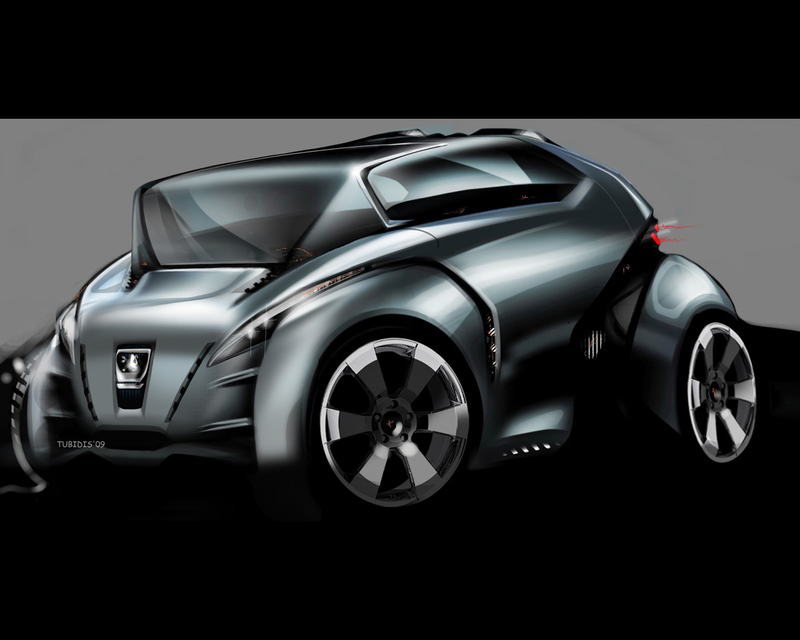 Peugeot engineers have completely reinvented the way to design a vehicle. 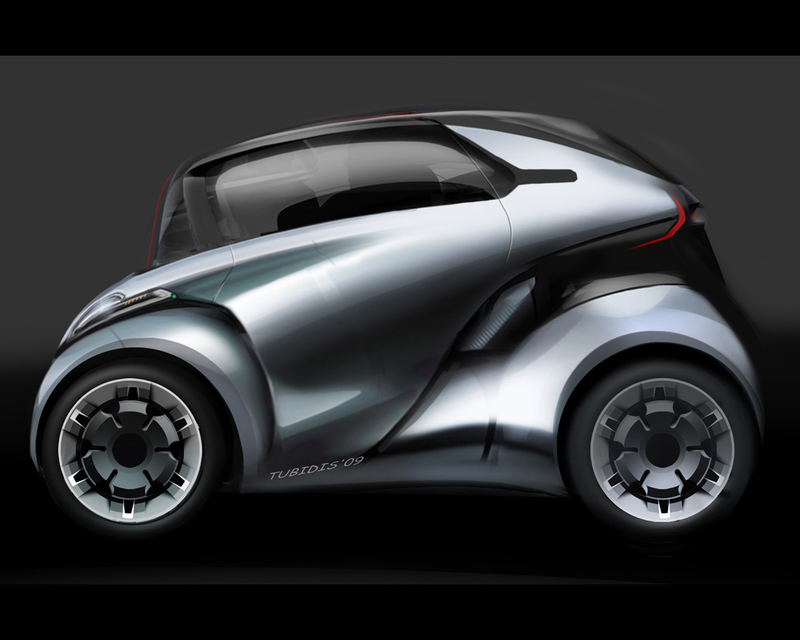 The BB1 is therefore based on a tubular chassis designed by Peugeot Motorcycles. It includes all normal vehicle dynamic systems: electric power steering, suspensions (double wishbone front and rear suspension), friction damper spring assemblies. 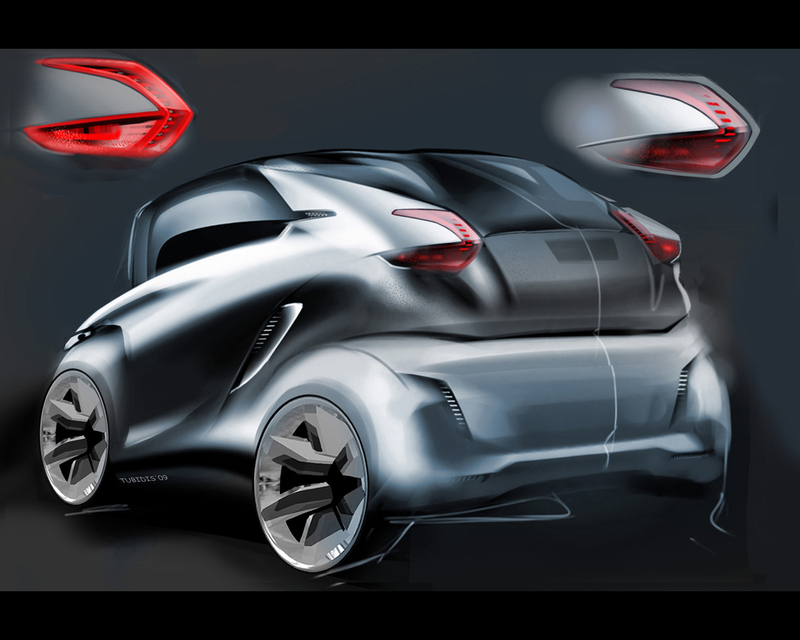 The body is made up of very light carbon structure designed to wrap around the passenger compartment. The vehicle weight does not exceed 600 kg, including the batteries. 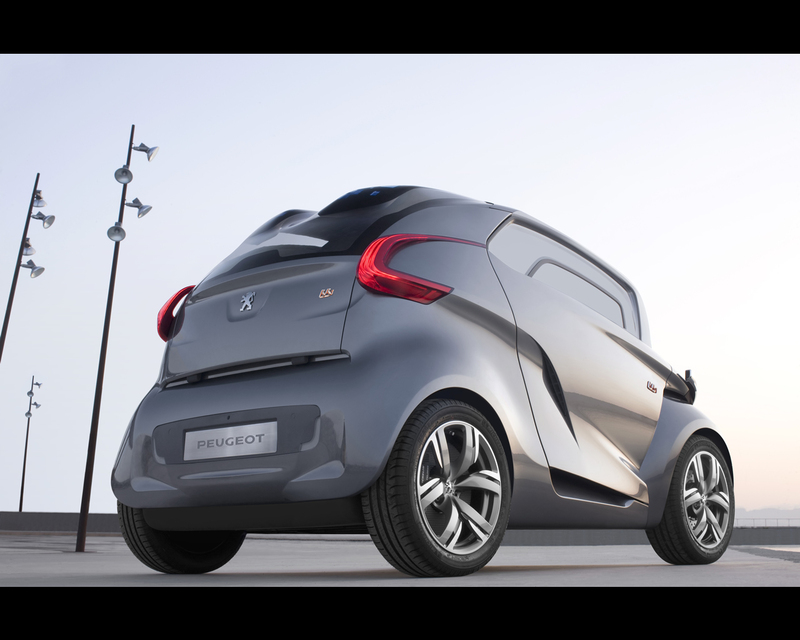 The Peugeot BB1 is fitted with electric motors in the rear wheels, designed in association with Michelin and called Active Wheels. This original set up maximizes the interior space. 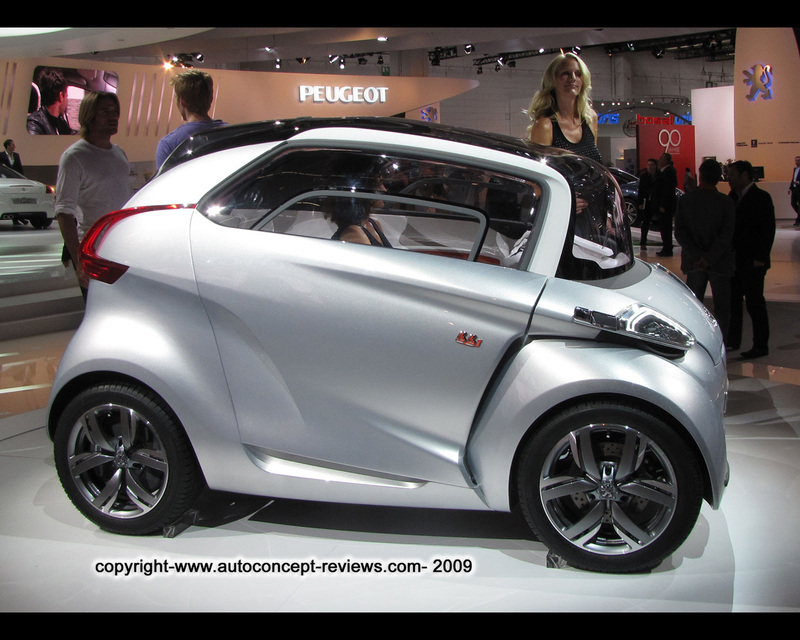 It has a maximum power output of 15 kW (20 hp) or 7,5 kW per motor. Maximum torque on each rear wheel is 320 Nm. This provides the best power to weight ratio for the vehicle in its urban drive setting. Its characteristics give a start-up 0 to 30 kph in 2,8 seconds and excellent in-gear acceleration of 30 to 60 kph in 4 seconds. Maximum speed is announced for 90 kph. The 100 kg lithium-ion batteries provide a range of 120 km. Each of the two battery packs supplying energy to the two respective electric motors are fitted under the right and left rear seats, thereby avoiding any reduction in the interior space and the storage space. Furthermore, this location between the two front and rear wheels helps with the centering of the vehicle weight and benefit vehicle stability, especially during braking. 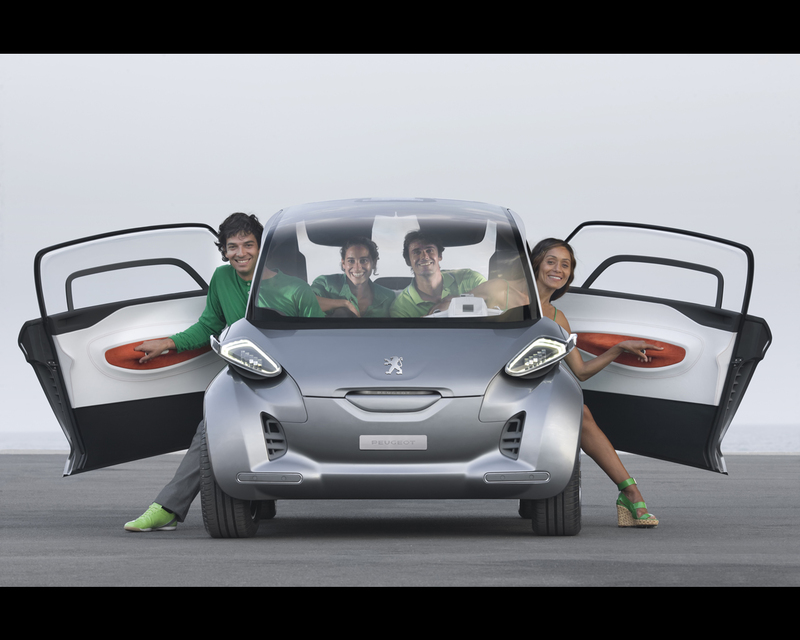 The Peugeot BB1 is equipped with solar panels designed in partnership with the Ocean Vital foundation, and is flexible enabling their usage on surface as complex as the double bubble roof. At a standstill, the passenger compartment ventilation keeps operating in daylight thanks to the solar panels. 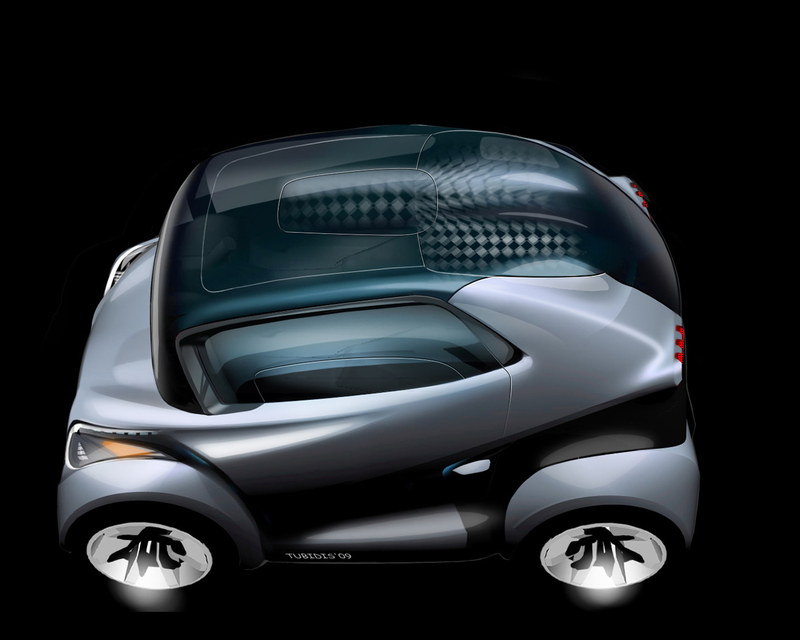 Dimensions: length 2,50 m, width 1,60 m, height 1,54 m, wheelbase 1,80 m, weight 600 kg ( including 100 kg batteries).